I hope you are all doing well and are having a fabulous weekend so far. Not so long ago I was contacted by Alpro to give their Alpro Oat Original Chilled and Alpro On The Go ranges a try. 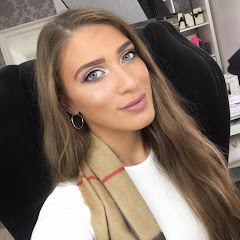 I have collaborated with Alpro on a few occasions and I am a genuine fan of their product range so I thought I would share these fabulous products with you today and share some quick and easy healthy breakfast recipes. I have been on a continuous fitness journey since January 2016 and I am slowly but surely getting to a place where I am more conscious of what I am eating and I have to say that these alternatives from Alpro have helped make life so much easier - especially for a milk lover like me who is trying to cut down my dairy intake. You can see my previous Alpro posts here and here. Nutrition and diets are hard at the best of times but I find they are so much harder in the winter months. When it's cold all I want to do is cuddle up on the sofa with a hot chocolate and a packet of Milk Chocolate Digestives (if you know me personally then you will know I am the biscuit queen haha) but in reality I know I can't live off something like that - I'd love to but it's not the balanced breakfast or snack that my body needs on a regular basis. So, I thought today I would share with you two of my favourite healthy Alpro breakfasts that I have really been enjoying lately. They are both incredibly easy to make and perfect for someone like me who is constantly on the go. Growing up I never used to be a fan of porridge and whenever I had to endure it for breakfast I would pretty much throw half of our sugar jar into it to make it taste more bearable. Ohh how life has changed since then! I actually adore porridge now and during the last few months of 2016 I was eating it none stop - it's such a warming and incredibly comforting dish. This dish is focus all around the Alpro Oat Original chilled. Honestly, boosting your fibre intake has never been so easy with this tasty little number. Alpro Oat Original is packed with fibre and has a delicious soft and natural taste. You can splash it on cereals, add it to tea or coffee, whizz it into a a smoothie, chill and pour it into a glass or heat it up into a porridge like I did. There are so many benefits to incorporating Alpro Oat Original into your diet; it's packed with fibre, 100% plant based, naturally low in saturated fat, had no added sugars and is a source of calcium, Vitamin B2, B12 and D - what more could you ask for? The winter warming porridge was incredibly easy to make and it kept me feeling fuller for so much longer without any cravings to snack between my next meal. I started off my adding 40g of oats into a saucepan with 280ml of Alpro Oat Original - I stirred through and started to warm up the mixture on a low heat. I find cooking porridge on a low heat for slightly longer makes it taste so much nicer. There is no specific timing I just stir away until I start to notice the constancy thicken and then I remove from the stove and add to a bowl. 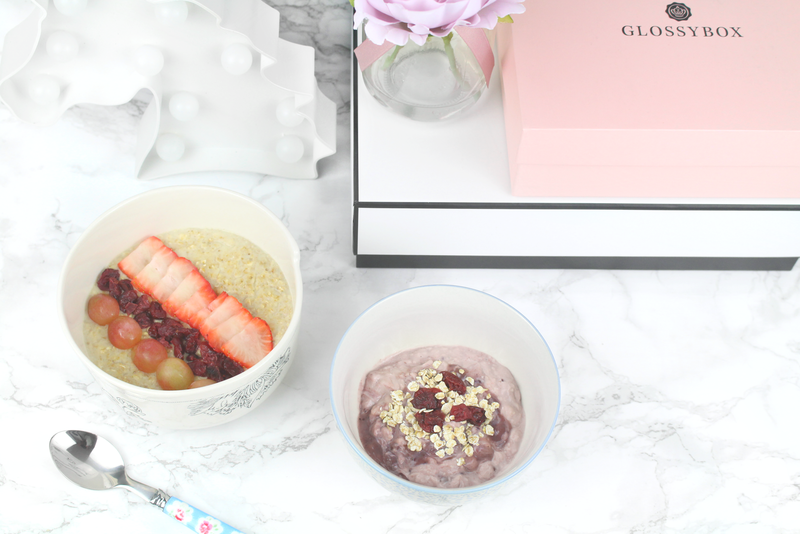 On this occasion I decided to spruce up my porridge with a few of my favourite fruits; grapes, goji berries and strawberries. Sometimes the most simple of breakfasts turn out to be the best. Enjoy a pick-me-up any time during your busy day with Alpro Go On which comes in Blackcurrant, Passion Fruit, Mango and Plain. These are a new plant-based alternative to strained yogurt. A delicious thick, smooth texture layered on top of a tart fruit coulee and packed with soya protein to keep you going throughout the day. Just like to Alpro Oat Original these Alpro Go On pots have so many health benefits. They are high in plant protein, 100% plant based and are a source of calcium (just like regular yogurts) and contain Vitamin B12 and D.
The Alpro Go On pots have been designed for anyone on the go which means there are no excused when it comes to a healthy start to the day or reaching for a healthy snack. I really enjoy grabbing these on the go but when I do have a little more time on my hands I enjoy pouring them out into a bowl and add some toppings for good measure. 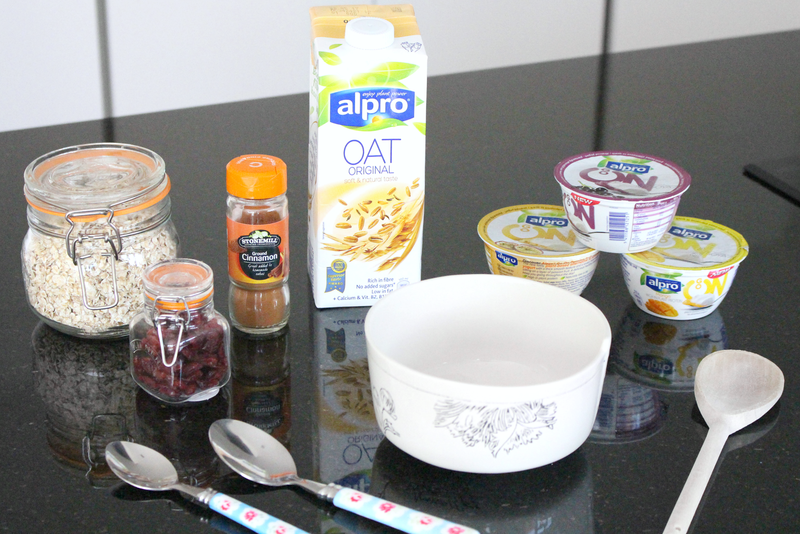 On this occasion I used the Alpro Go On in Blackcurrant and I added a sprinkle of oats and goji berries - it was delicious! There we have it - two quick and easy yet super healthy and delicous breakfast ideas featuring two fabulous Alpro products. Overall, I was completely impressed with both the Alpro Oat Original and the Alpro Go On pots and they have both been staples in my fridge since the beginning of 2017. These are two of my current favourite recipe combinations but Alpro have a tone more on their website here. Like always lovelies, if you have any questions, requests or if you would like to chat please feel free to contact me on my social media, email or leave me a comment below. I love hearing from you all and I make sure to read every single comment...they truly make my day! I need to take notice of this and eat more healthy myself, a start would be to actually eat breakfast myself as I tend to skip it and I know that's not good for you. Oooh this looks so good, have been trying to eat healthier however, failing miserably! I love having porridge for breakfast. I usually have it with mango and blueberries. Yum these all sound delish! I love Alpro and use it for all kinds of cooking so loved this post, both ideas sound yummy. I love Alpro too ! I have worked with them a few times and am doing a post at the moment. This breakfast looks yummy and super easy to make so will have to give it a go! I love porridge for breakfast especially in the winter! I will have to give the oat milk a try! I love Alpo and love their Oat Milk, it's great! Milk really bloats me so I love it in my porridge instead of milk! I'm really bad an always skip breakfast, but I actually really love porridge - I just eat it at odd times of day!